A warm welcome to Harwell Primary School! My name is Bryn Gibson and I am the Headteacher. At our school, children and grown-ups are extremely caring; we look after each other to make sure we are ‘happy to learn’. We are committed to providing our children with exciting learning opportunities in class to create truly memorable learning. Our project-based learning aims to provided a rigorous yet balanced curriculum, to help develop the skills children need to become ‘life-long learners’. We uphold and teach pupils about the British values as directed from Ofsted Guidance. Democracy, rule of law, individual liberty, mutual respect and tolerance of those of different faiths are key values that we teach and promote throughout our school. 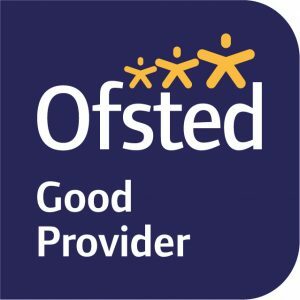 If you visit our school, you will find happy, active children who take responsibility, enjoy their learning and are proud of all they achieve and do, both inside and outside the classroom. We provide a range of extra-curricular activities to interest and challenge pupils that use our excellent facilities. We have high expectations of our children. We encourage every child to reach their full potential and recognise that every child is unique and has their own contribution to make. We hope you enjoy visiting our website and that you are able to see some of the wonderful learning experiences on offer at Harwell school. We have a very positive partnership with our parents and community and we have a very supportive School Association, School Council and Governing Body. If you would like to know more about our school, please contact us as we would love to meet you and show you around. School hours are from 8:55am-3:15pm. Our Artificial Grass Pitch (AGP) and Swimming Pool are now available for hire. Please contact the school Administrator Lauren Paton for details – contact the school office . See details of the School Meal service, including weekly menus.